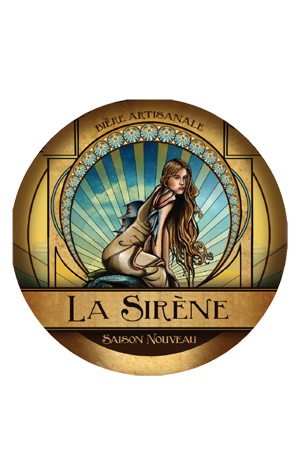 "Another new saison variant from La Sirene?" you ask. Well, yes and no. For some time now, the beer bearing the name Saison from the Alphington brewery that you may have seen on tap has differed from the bearing the name Saison in bottle. When putting the original 6.5 percent beer into kegs, head brewer Costa Nikias couldn't get the results he wanted in the same way so he reworked the beer to pour as desired on tap. The result was a different beer with a lower ABV and now he's decided to make the distinction clear by naming the flagship tap beer Saison Nouveau. It is, says Costa: "based on our original keg Saison with a cloudy rustic appearance and strong lemon aromas upfront. The funky mid-palate integrates with strong fruit tones coupled with our trademark yeast driven tartness to finish refreshingly dry and lingering."